By reaching out to a sentient and highly intelligent animal, we learned a great deal of what it means to be human, a caring and compassionate human being. Koko loved kind people; she knew who they were! According to a beautiful tribute in the New York Times, Koko’s favorite fan was Fred Rogers, and he loved her back. Mister Rogers who is being remembered in Won’t You Be My Neighbor?, a documentary opening in New Jersey today. Watch this space for a review. She also had a deep bond with one of the finest, most brilliant actors, Robin Williams. And that gifted soul loved her back. 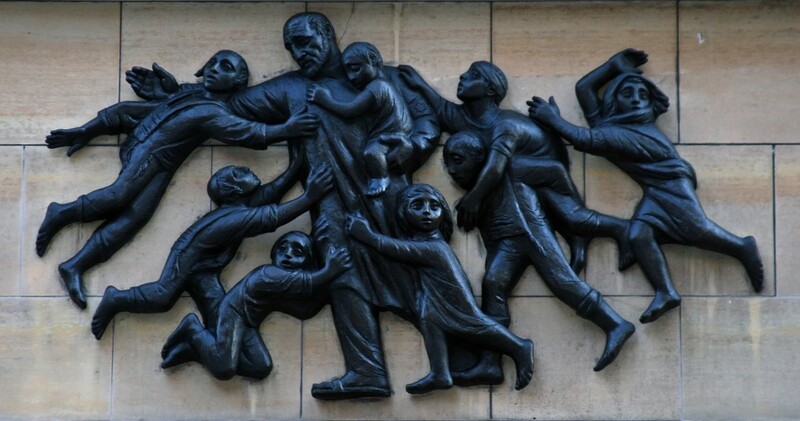 According to the Gorilla Foundation, Koko was crestfallen upon learning about Mr. Williams’s tragic suicide. 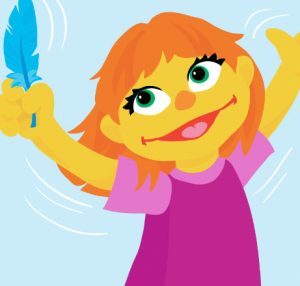 Sesame Street in October 2015 introduced Julia, a Muppet with autism in one of their storybooks. On Monday, April 10, Julia mad her screen debut! Sunny days have become sunnier at Sesame Street with a new kid on the block, a vivacious girl with bright red hair and large, expressive green eyes. Meet Julia. And she happens to have autism. Announced October 2015, Julia made her debut on the beloved children’s show Monday, April 10, as part of Autism Awareness Month. In a video to introduce the character, Julia’s friend Abby Cadabby explains, “lots of kids have autism.” And “that means their brains just work a little differently,” she continues. As the Amazing Song proclaims, this effort by Sesame Street is to promote not just autism awareness, but autism acceptance and appreciation. Noteworthy is that the people who create and enact the show themselves have experience with autism. Frank Campagna, the writer of the respected blog “Autism Daddy” is one of the video producers at Children’s Television Workshop. In his blog, he discusses how, after the birth of his severely autistic son, he sought to bring awareness and acceptance of the condition on the show. And bringing Julia to life is puppeteer Stacey Gordon, an advocate and a parent of a boy with autism. A researcher at Virginia Tech, herself a mom of a boy with autism, praises the way Julia doesn’t just talk about autism, but shows her young audience how autism is another way of thinking and being, providing the tools for them to interact with their autistic peers. An electronic storybook, We’re Amazing 1, 2, 3, featuring Elmo and Abby and their friend Julia. There’s also Benny’s Story. Tips for children on being a friend to a peer with autism. Advice on helping siblings understand a brother or sister with autism. Ways in which parents can explain what autism is to young children. 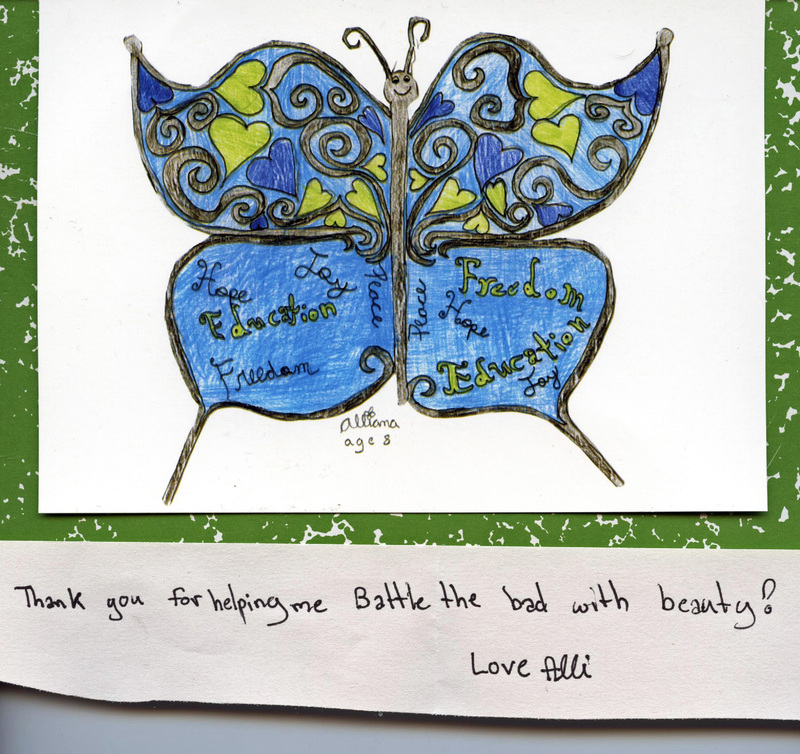 Eight-year-old Alliana created this beautiful butterfly, of which she is selling prints to raise money for the Malala Fund. A little treasure arrived in the mail today. A lovely 8-year-old girl from Manitoba, Canada, has created a beautiful piece of artwork depicting a butterfly with hearts and other patterns; she is selling copies of her work and donating all proceeds to the Malala Fund. Battle the bad with beauty. A child helping another child help children around the world! Having encountered butterflies in some of the most haunting drawings and poetry by children during the Holocaust, the theme has added meaning to me. I also love the personal note from the artist! In the hope that others will support her endeavor, I append a link to her Facebook page. She also has a Web page, with commentary!